Over the past few days, the tech world has witnessed a rat race among tablets - Apple's iPad Air, Nokia Lumia 2520, as well as Samsung Galaxy Tab 10.1 2014 Edition. While the three newcomers are locking horns with each other, we are struggling on which tablet we shall buy. Given that some people are still unaware of the specifications and features of these three high-end tablets, the following review of Apple iPad Air Vs Nokia Lumia 2520 Vs Samsung Galaxy Note 10.1 (2014 Edition) will give you some clues about them. Let's move to the comparison now. Take a brief look at how Apple's fifth-generation iPad Air stacks up against its direct rivals the 2014 edition of Samsung Galaxy Note 10.1 and Nokia Lumia 2520 below. As always, Apple shows the craftsmanship at its finest in every Apple-related phones and tablets. And the sleek and compact new iPad Air is no exception. This 1-pound iPad Air is actually the thinnest out of the 2014 edition of Galaxy Note 10.1 and Lumia 2520. It weighs 470 grams, a whopping 70 grams lighter than the Samsung Galaxy Note 10.1 2014 edition. On the other hand, Nokia's Lumia 2520 comes short of greatness in this round, both thicker and heavier than Apple and Samsung tablets. Thinner, lighter and just better. These are what Apple iPad Air promises us. In this iPad Air VS Nokia Lumia 2520 VS Samsung Galaxy Note 10.1 2014 Edition review, I'd like to give my vote to Apple iPad Air. We usually give credit to high-resolution display when reviewing a tablet since the high-end display endows us with crisp image while watching videos thereupon. So the comparison shall take display in consideration in rank iPad Air, Galaxy Note 10.1 2014 version and Nokia Lumia 2520. As claimed, Apple's hotly-expected iPad Air sports a 9.7-inch Retina display with a 2048*1536 resolution and a pixel density of 263ppi. 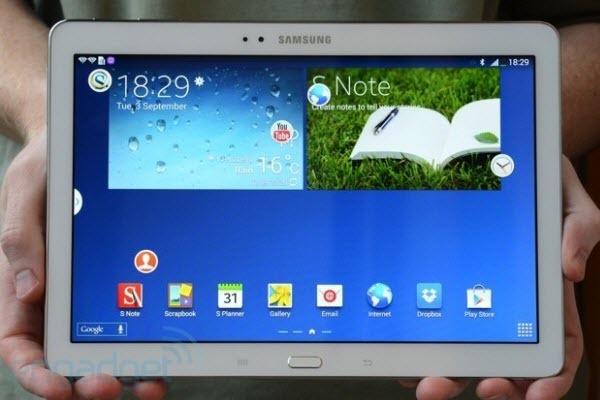 Rather greater is the Samsung Galaxy Note 10.1 (2014) in terms of screen resolution, rocking a 2,560 x 1,600 display (299 ppi). While the Lumia 2520 has to throw in the towel, with 218ppi. Higher pixel density means a better screen. So in the round, the 2014 version of Galaxy Note 10.1 noses out iPad Air and Lumia 2520. Tips: If you've saved a lot of videos in different video formats but want to enjoy them on the three tablets without worrying about format incompatibility, you can make video format conversion with a piece of professional video converter software. The iPad Air runs on the much hailed 64-bit A7 chip debuted in iPhone 5S a few weeks back and M7 motion coprocessor , offering up to 2X faster CPU and graphics performance than the previous iPad version. In case of Samsung Galaxy Note 10.1, this tablet is up with Exynos 5 Octa-core chipset, along with 3GB of RAM, which can handle multitasking on Android easily. Turning back to the Lumia 2520, this gadget seems to lose ground again, which is powered by a 2.2GHz quad-core Qualcomm Snapdragon 800 processor, with lower memory at 2GB RAM, compared with 3 for Samsung. Although Apple's iPad Air spots a dual core, 1300 MHZ processor, the benchmark tests show that A7 is much better than the other two tablets. So, in this round, iPad Air steals the show. The new iPad Air comes with a 5MP iSight Camera from Apple and a 1.2-megapixel front facing one, supporting 1080p HD video recording. The camera on the Lumia 2520 is a 6.7-megapixel rear camera and a 2-megapixel front-facing camera, which are capable of 1080p Full HD videos at 30 fps as well. Samsung brings in the better rear shooter at 8 MP, along with the same 2MP sensor in its slate for imaging as that of Nokia. Although the camera is not the crucial element in reviewing a tablet, it's important that your tablet has a solid front camera if you want a good quality for your video chats. And in this camera comparison, Galaxy Note 10.1 has the edge on Nokia Lumia 2520 and iPad Air since its 8MP camera has a bigger sensor and greater detail capturing. See more information on how to upload HD video to YouTube. As to iPad Air, 16GB, 32GB, 64GB and 128GB flavors are available in memory, though restricted with the lack of microSD. On the other Hand, Nokia Lumia 2520 and the 2014 version of Note 10.1 come in 32 GB built-in storage and 16/32/64 GB versions, respectively. But the external microSD cards on these two tablets allow expansion of memory up to 64 GB, which provides a huge advantage over the iPad Air. In terms of battery front, the iPad Air has an improved battery of 32.4 watt-hour that is good enough for up to 10 hours of surging on Wi-Fi. The Note 10.1 boasts a 8220 mAh battery, giving up to 12 hours of usage. Considering iPad Air is still devoid of expandable memory option, I will cast the vote to Galaxy Note 10.1 in this round. The Apple iPad Air runs on the latest iOS 7 with a load of thrilling features that make software easy and intuitive, though the hotly-expected fingerprint scanner is absent. The Lumia 2520 is the first one running on Windows RT. While the Galaxy Note 10.1 is powered by Android 4.3 Jelly Bean. 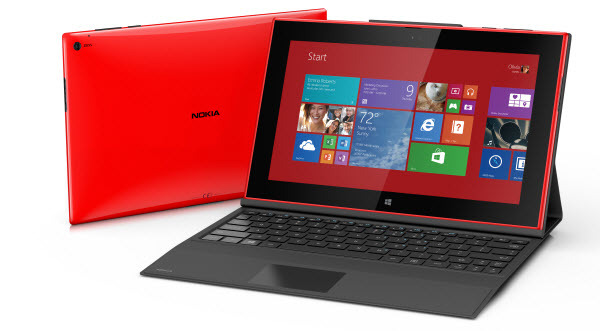 The iPad Air, Samsung Galaxy Note 10.1 2014 Edition and the Nokia Lumia 2520 have their own pros and cons. The Lumia 2520 might offer some excellent hardware, but the luck of enough apps on the Windows RT can be a disappointing thing. The Samsung Galaxy Note 10.1 2014 Edition, though touting excellent features and camera, is daunting when it comes to its high price tag, &50 more expensive than iPad Air and Lumia 2520. All in all, if you want to tablet with higher resolution, choose the Note 10.1. If you'd like a thinner, lighter and faster one with sleek design but at comparatively low price tag, the iPad Air can be the nice choice. This review article gives detailed information of iPhone 5S and Samsung Galaxy S4. Through comparison and contrast, you will have a better understanding of both iPhone 5S and Samsung Galaxy S4. 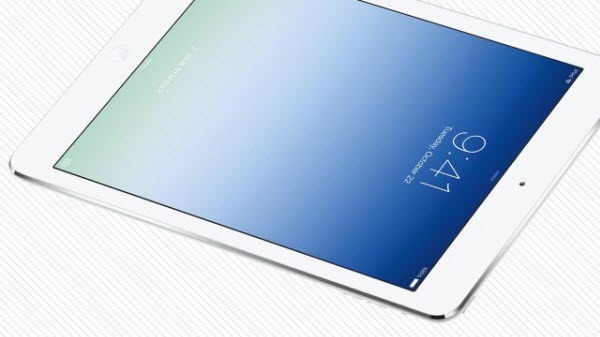 Do you want to rip DVD to iPad Air for enjoyment? This guide shares you a professional DVD ripper that is able to rip and convert protected DVD movies to iPad Air so that you can watch your treasured DVD movies on iPad Air wherever you go. Eager to play YouTube video on the new iPad Air? Hold on, this tutorial shares you a wonderful iPhone Air video converter and tells you how to download and convert video from YouTube to iPad Air easily, so that you can play YouTube video on iPad Air anytime anywhere.